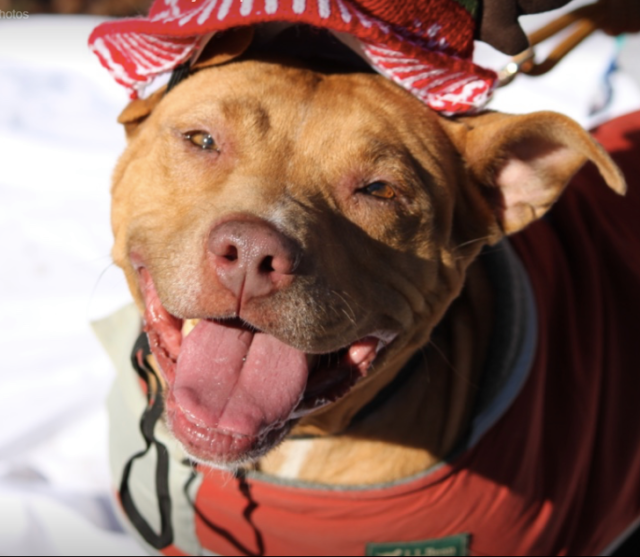 You may recognize Akira’s sweet face from a previous post detailing LifeLine Animal Project‘s quest to find her a loving fospice home. We are happy to announce that she has found a wonderful human to share her final days with – and she’s got a few life lessons to teach him before she goes! At first glance, 25-year-old Lawson Chambers may seem like an unlikely choice to take in a dog like Akira. 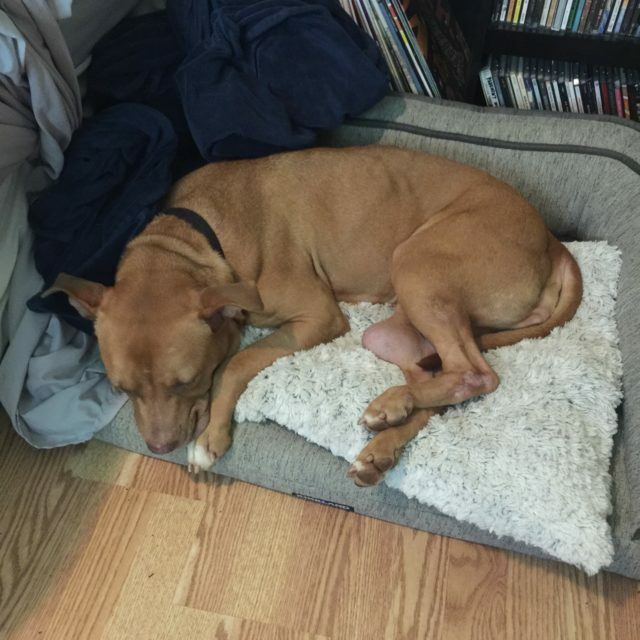 The sweet pooch was recently diagnosed with mast cell carcinoma – a form of cancer that will eventually take her life. Lawson is a talented illustrator and cartoonist creating a name for himself within Atlanta’s thriving art scene – someone you may expect to see romping in the park with a young pup, not a terminally-ill senior. He learned Akira’s story while attending a fundraiser earlier this month. 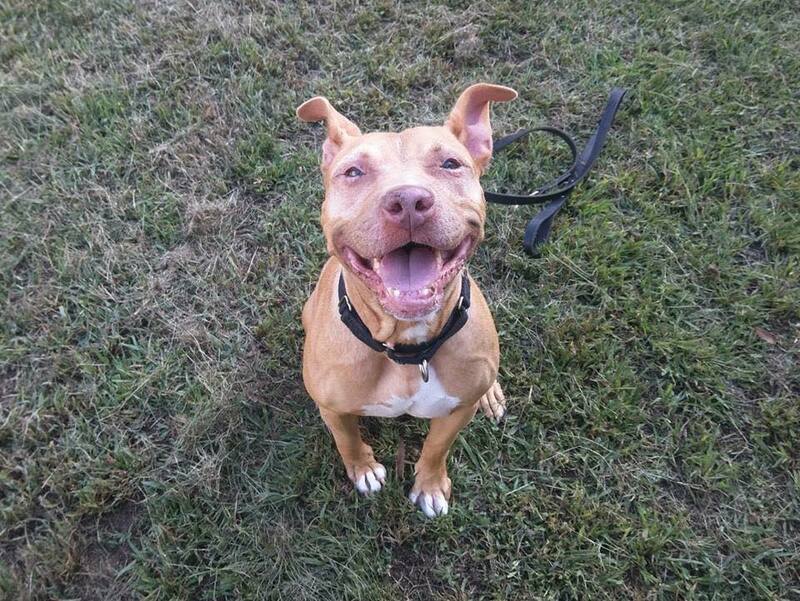 A volunteer from LifeLine Animal Project’s Dekalb County Animal Services detailed the staff’s desperate search to find a loving human to liberate her from the shelter and spoil her rotten. Having recently said goodbye to two senior dogs owned by one of his roommates, Lawson was considering taking in a foster dog. 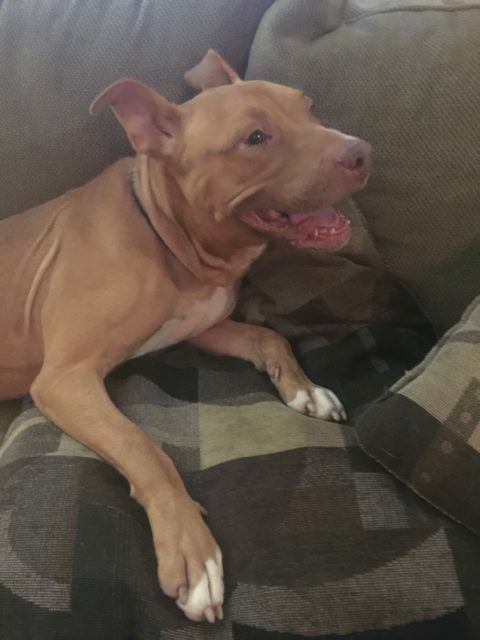 Could a terminally-ill fospice dog be the connection he was searching for? 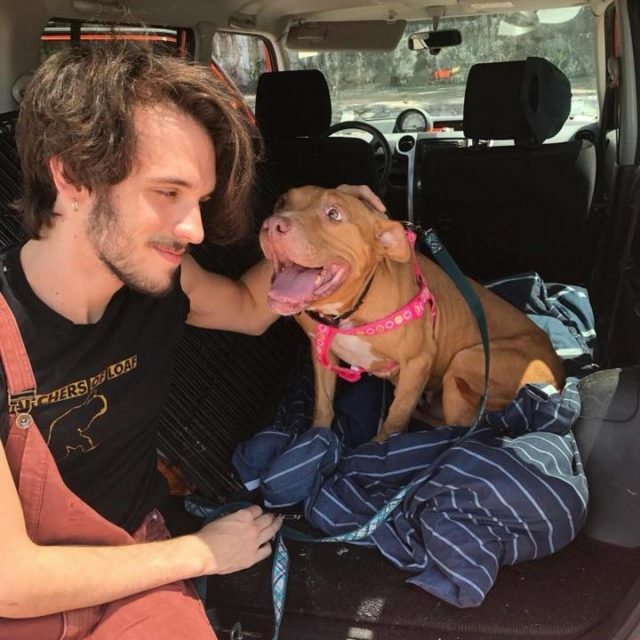 After looking her up online and checking with his roommates, Lawson headed to the shelter to meet Akira in person. The grateful pooch quickly acclimated to Lawson’s life, learning his routine and bonding with his roommates. She also inspired her young fospice dad to see the world in new ways. 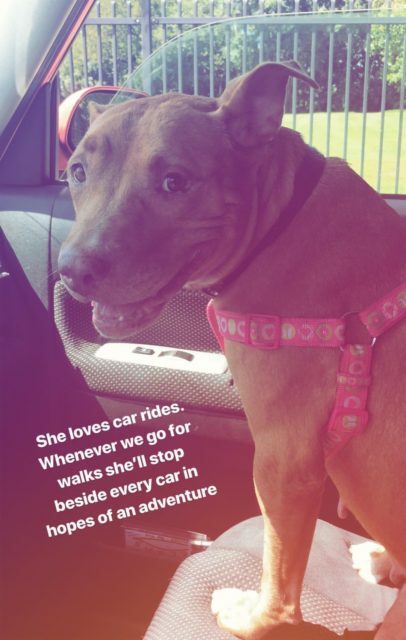 Veterinarians do not believe Akira’s condition is currently causing her any pain, and according to Lawson, she shows no signs of being ill.
Akira’s favorite part about her new-found freedom is definitely riding in the car. After more than a year in the shelter, she sees each journey as a chance for an exciting new experience! Don’t be afraid to open your heart to a senior or end-of-life rescue dog. As Lawson now knows, they have so many important life lessons to teach – and an endless supply of love to give!